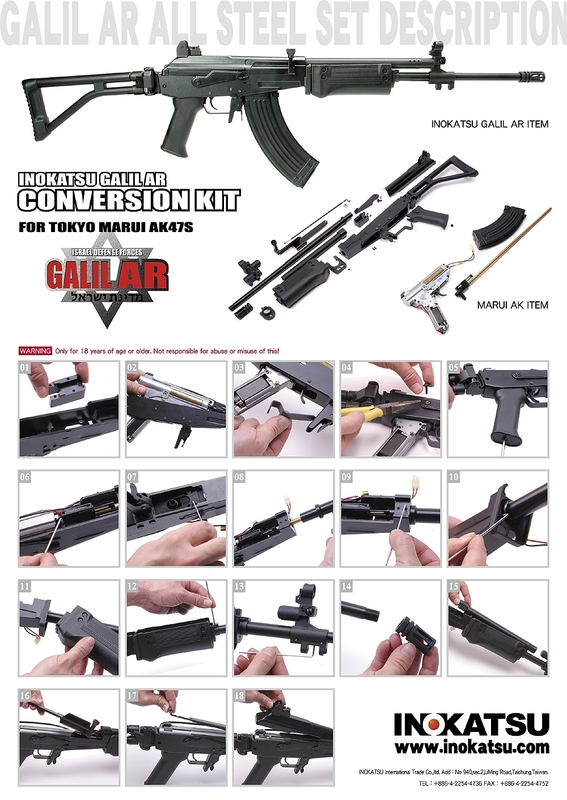 Dear Arnie, I am Ting from Hong Kong, […] Anyway, I would like to let you know that I am the official retailer of Inokatsu in HK, they will release the full steel Galil conversion kit really soon. I attached the manual for your reference. They only have 30 pcs worldwide and 20 pcs already reserved. I got the remaining 10 pcs so that let’s see who are interested in around the world. If any people interested on it, they can contact me via email ieting@yahoo.com.hk. I will post the actual picture in the coming week once I got the sample. Detail description is on my blog: Bizon.wordpress.com and Inokatsu will rebuild their whole AK series and I will post them out in the coming week too.